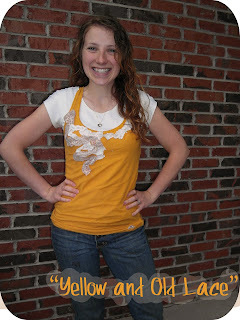 ' Yellow and Old Lace - Shirt Refresher - Sisters, What! Here's my latest refashion....actually more like a tank top refresher. Basically this tank need some freshening up. Nothing a little lace and a sewing machine can't fix. 3. 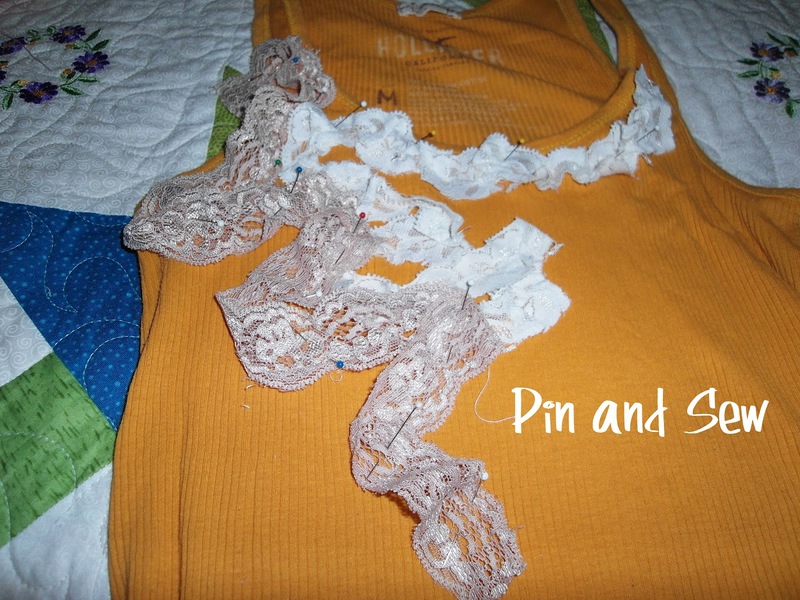 Then sew in the middle of the lace, following the pattern. Super easy and your done! 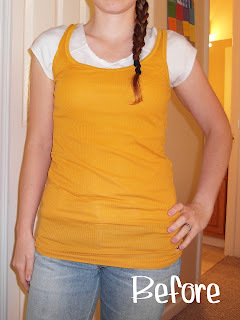 The lace makes the tank top very feminine. you could probably wear it in the evening for an event as well. Lovely. I love what you have done with a basic shirt!! 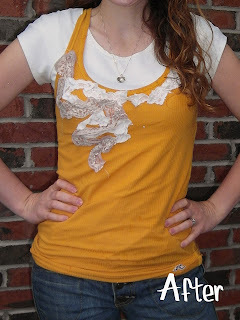 What a great idea:) I have a stash of old lace that I should put to work making a top like this!